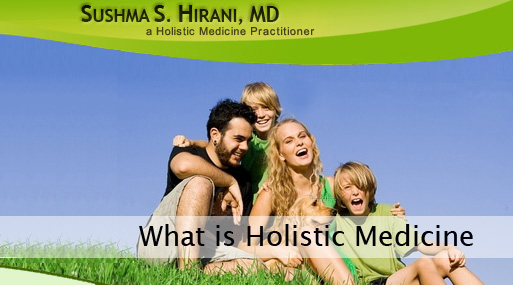 Holistic medicine is an increasingly popular practice in our modern world. Ironically holistic medicine can be dated back much further than our modern medicinal practices although it is only now becoming socially acceptable once again. Some holistic techniques are age old and time honored and many traditions live within the cultural heritage of some ethnicities. From Chinese accupuncture to India's Ayurveda, holistic medicine can be found all over the world in many different forms and methods. Holistic medicine can be broken into categories; alternative medicine, functional medicine, integrative medicine, and complimentary alternative medicine. This categorization helps us to organize these medicines by their application and coordination with modern medicine rather than their specific function or cultural roots. Holistic medicine is an increasingly wide-spread branch of medicine and techniques. Each of these categories contains several sub-categories which can be broken down much further by process, cultural roots, and other criteria. Holistic techniques should not be used in place of conventional medical techniques but can be used to augment one's health and wellness. Alternative medicine is essentially any medicinal practice that does not fall within the realm of conventional medicine. Examples of alternative medicine include naturopathy, chiropractic medicine, herbalism, Ayurveda, traditional Chinese medicines, aromatherapy, yoga, meditation, hypnosis, homeopathy, and acupuncture among others. Alternative medicines come from a wide variety of foundations ranging from spiritual techniques to techniques rooted in chemistry and human physiology. Many alternative medicines are designed around the idea of a clear mind and spiritual presence being key to a successful medical recovery or a healthy lifestyle. Alternative medicines are often lifestyle choices and remain separate from conventional medicines such as modern surgical methods. Practices such as yoga and meditation can oftentimes be grouped under the same umbrella as exercise and fitness while herbalism can cross into one's nutritional intake. Functional medicine is a holistic practice with a focus on improving physiological functions as a way to improve the health of patients suffering from chronic disease. Functional medicine has been defined by the Institute for Functional Medicine as "personalized medicine that deals with primary prevention and underlying causes, instead of symptoms, for serious chronic disease." Functional medicine attempts to stop chronic disease at its roots in the body rather than addressing disease on a symptom-to-symptom basis. Combining practices from diet, nutrition, and exposure to environmental toxins, functional medicine is a lifestyle medicine where patients are advised to alter several aspects of their lives. This approach is considered a systems biology approach because it addresses all components of the human biological system and how they interact with their environment. Because of this approach, a patient's entire "patient history" is extremely valuable and important to practitioners and is key to the treatment. Functional medicine is a complete approach to health and addresses disease and disorder on a very broad and non-specific level, keeping possibilities for recovery open-ended. What is Complimentary Alternative Medicine (CAM)? Complimentary Alternative Medicine (CAM) defines all alternative medicines which are used in conjunction with contemporary medicines. Complimentary alternative medicine contains several holistic practices commonly used across conventional medicine. One such example is biofeedback, a technique commonly used within the physical medicine and rehabilitation community. Similarly herbal therapies are mainstream in Europe and other parts of the world while the United States still considers them alternative. Integrative medicine is essentially complimentary alternative medicine but one step closer to contemporary medicine. Integrative medicine consists of medicinal techniques and methods which are scientifically justifiable and have shown clear proof of success in conjunction with contemporary medicine. Integrative medicines can include nutritional programs, exercises and therapies. Integrative medicine shares several principles with other holistic practices such as a close partnership between the patient and the practitioner, a complete consideration of health factors including mind, body, and spirit, and the use of natural, effective, and non-invasive techniques whenever possible. Integrative medicine however is extremely accepting of contemporary techniques and integrative practitioners recognize the use and necessity of contemporary techniques. Integrative medicine also judges the effectiveness of techniques based on scientific evidence and is open to new paradigms.